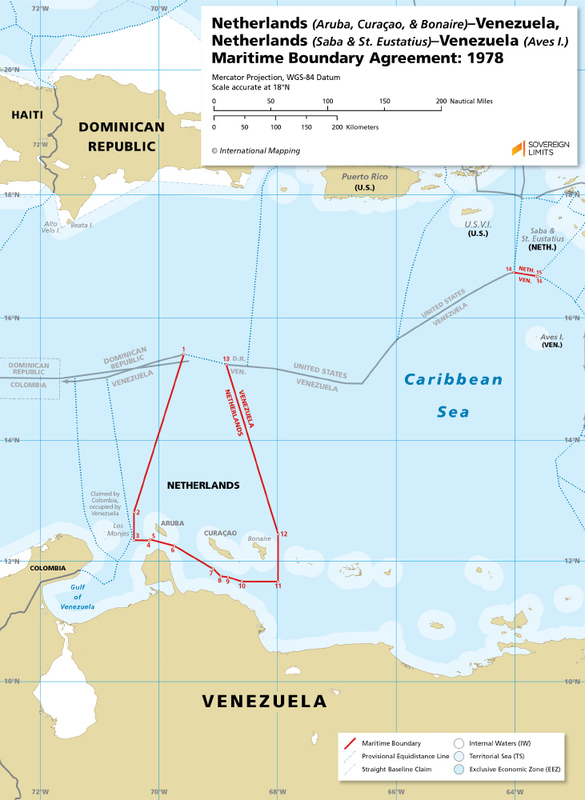 The 1978 Agreement between the Netherlands and Venezuela created two separate maritime boundaries, the first between the Dutch islands of Aruba, Bonaire, and Curaçao and mainland Venezuela and a second between the Dutch islands of Saba and St. Eustatius and Venezuela’s Aves Island. The western portion of the maritime boundary created a semi-enclave around the Dutch islands of Aruba, Bonaire, and Curaçao (also referred to as the “ABC Islands”), effectively separating them from the general maritime area pertaining to the Venezuelan mainland and its coastal islands, leaving only a small gap in the north where a maritime boundary between the Dominican Republic and the Netherlands will someday need to be negotiated to fully enclose the maritime space of the Netherlands. 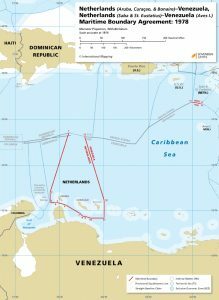 The eastern portion of the maritime boundary is much shorter and divided the maritime space located between Saba and St. Eustatius on the Dutch side from Aves Island on the Venezuelan side.